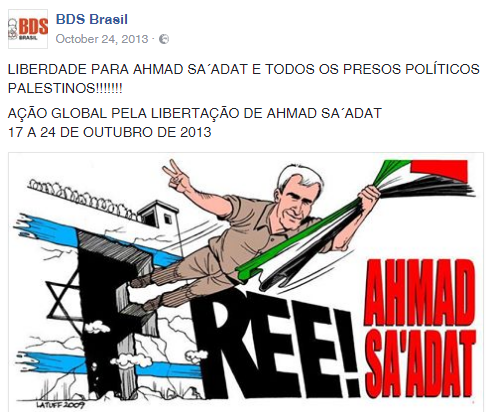 APDH participates in BDS campaigns and accuses Israel of “crimes against humanity, ethnic cleansing and the implementation of terrorism against Palestine.” In September 2017, Frank De Nully Brown, APDH’s Secretary of International Relations, “repudiated” the visit of Netanyahu to Argentina since “he is responsible for crimes against humanity that are occurring in the Gaza Strip.” APDH signed the Cemex BDS call and released a “Declaration of Repudiation,” demanding that the “Argentine State stop trading with a State that violates the human rights of the Palestinian people…We do not want to be victims of the arms of the State of Israel. 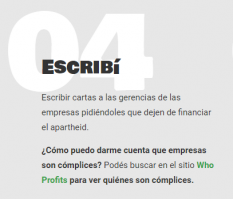 We do not want an Argentine State complicit in the violations of human rights against the Palestinian people.” In April 2016, APDH signed a letter to Congressmen and constitutional magistrates of Colombia calling to “stop the ratification of the Free Trade Agreement between Colombia and Israel, until Israel complies with its international legal obligations,” as “Israel has systematically and gravely violated UN resolutions and international humanitarian laws relevant to human rights, undermining the right of the Palestinian people to self-determination…The ratification of the Israel-Colombia FTA would give legitimacy to this illegal situation.” Other signatories to the letter include the Palestinian Campaign for the Academic and Cultural Boycott of Israel (PACBI), Palestinian NGO Network (PNGO), Popular Struggle Coordination Committee (PSCC), Stop the Wall, Israeli Committee Against House Demolitions (ICAHD), Association France Palestine Solidarité(AFPS), War on Want. 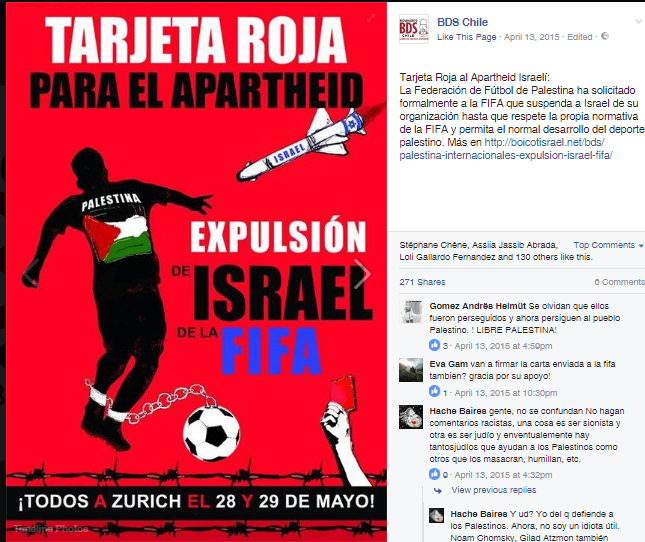 In April 2017, Anuar Majluf, the executive director of the Palestinian Federation of Chile, was barred from entering Israel due to his leadership role in BDS campaigns. 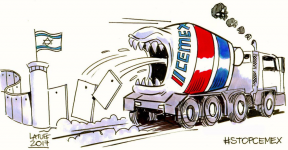 The Palestinian Federation subsequently warned the Jewish community in Chile not to “play with fire” – demanding that the Chilean government end its visa-free agreement with Israel. 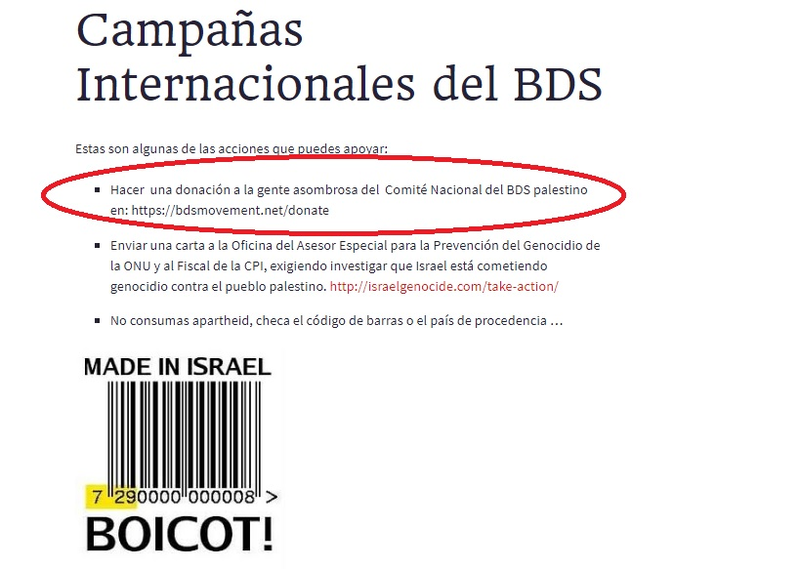 In response, Majluf calledfor Chile to ban Israeli tourists from entering Chile. In April 2012, Federation president Mauricio Abu-Ghosh was barred from entering Israel. In August 2012, Abu-Ghosh compared Israel with Nazi Germany in a radio interview, stating that “the Nazis were boys compared to current Zionists” (emphasis added). March 14, 2017 Hosted the “inauguration of the photographic exhibitions” titled “Postcards for Palestine” and “Being a child in Palestine” featuring images taken by ecumenical accompaniers. 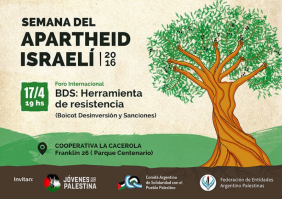 September 23, 2016 In coordination with Koinonia, FUMEC-ALC, and the Ecumenical Youth Network, EAPPI – Brazil hosted an event “Celebration for Peace in Palestine and Israel” where EAPPI activist Wallace Gois spoke. May 21, 2016 Hosted a photographic exhibition “Palestine – across the walls” featuring photos taken by EAPPI activist Renan Leme. 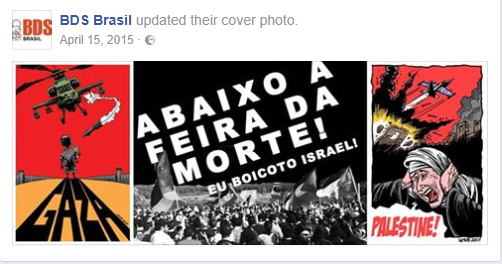 May 20, 2015 Members of EAPPI – Brazil spoke at “International Week Against Israeli Apartheid”. Signatories to the call include the Palestinian Boycott, Divestment and Sanctions National Committee (BNC), Palestinian Environmental NGOs Network (PENGON), Palestinian NGO Network (PNGO), Addameer, Applied Research Institute Jerusalem (ARIJ), Defense for Children International – Palestine (DCI-P), Jerusalem Legal Aid and Human Rights Center(JLAC), Ma’an Development Center, MUSAWA, Palestinian Agricultural Relief Committee (PARC), Popular Struggle Coordination Committee (PSCC), Union of Agricultural Work Committees (UAWC), Women Center for Legal Aid and Counseling (WCLAC), Association France Palestine Solidarité (AFPS), Association Belgo-Palestinienne, CODEPINK, Grassroots International, Jewish Voice for Peace, Friends of Sabeel, US Campaign for Palestinian Rights, and Westchester Peace Action Committee Foundation (WESPAC). Other signatories included Alternative Information Center, Palestinian Environmental NGOs Network- Friends of Earth Palestine (PENGON), Stop the Wall Campaign, Land Defense Coalition, Palestinian Farmers Union, Jewish Voice for Peace(JVP), CODEPINK, US Campaign for Palestinian Rights, Association Belgo-Palestinienne, Association France Palestine Solidarité (AFPS), Adalah-NY, Palestine Solidarity Campaign, and Red Solidaria contra la Ocupación de Palestina (RESCOP) – a network of Spanish BDS NGOs.